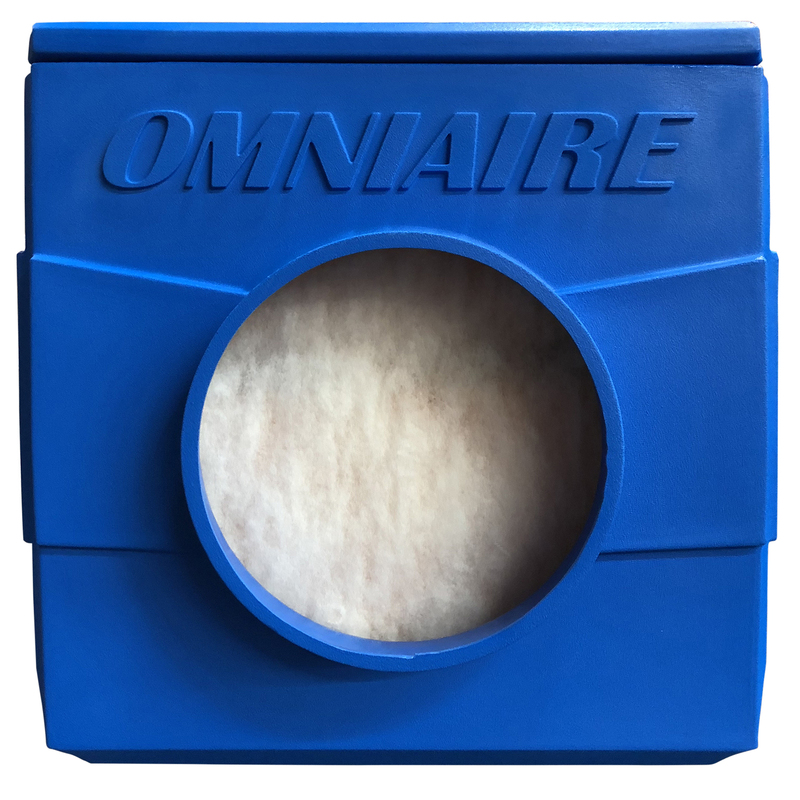 600 Nitro Portable HEPA air scrubber by Omnitec Design Inc.
OmniAire 600N housings have clean, impact resistant polyethylene housings designed to last job after job. Our rotationally molded and seamless construction assures that contaminated air will not bypass the 99.97% efficient HEPA filter. 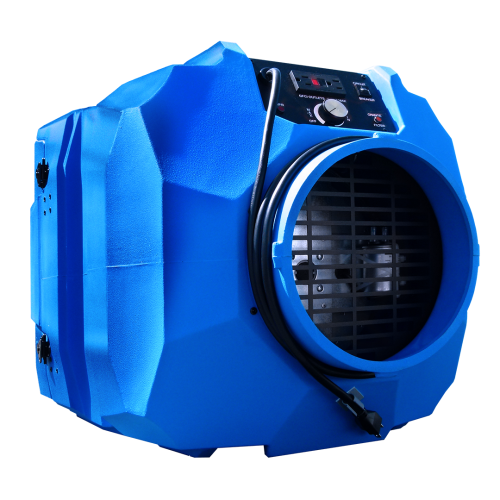 Lightweight, the OmniAire 600N air scrubber unit is only 36 lbs with filters installed. Molded connections for flex ducting on both intake and discharge sides allow for the convenient direction of air flow intake or exhaust. The ability to securely stack the 600N up to three high while in operation, and during transportation or storage will save valuable setup time and space. Daisy-chaining up to three Nitro air scrubbers is possible with an integrated 8 Amp GFI protected outlet, expanding air cleaning capacity to meet your demand. All 600N units come with an integrated 12 amp circuit breaker to prevent overloads from damaging the machine. 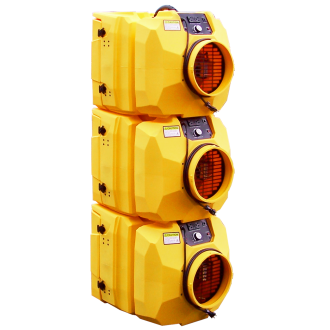 Units can be ordered in 115V or 220V configuration and are suitable for use worldwide. Depending on environmental demands, the Nitro offers an assortment of options for prefilters and final filters. 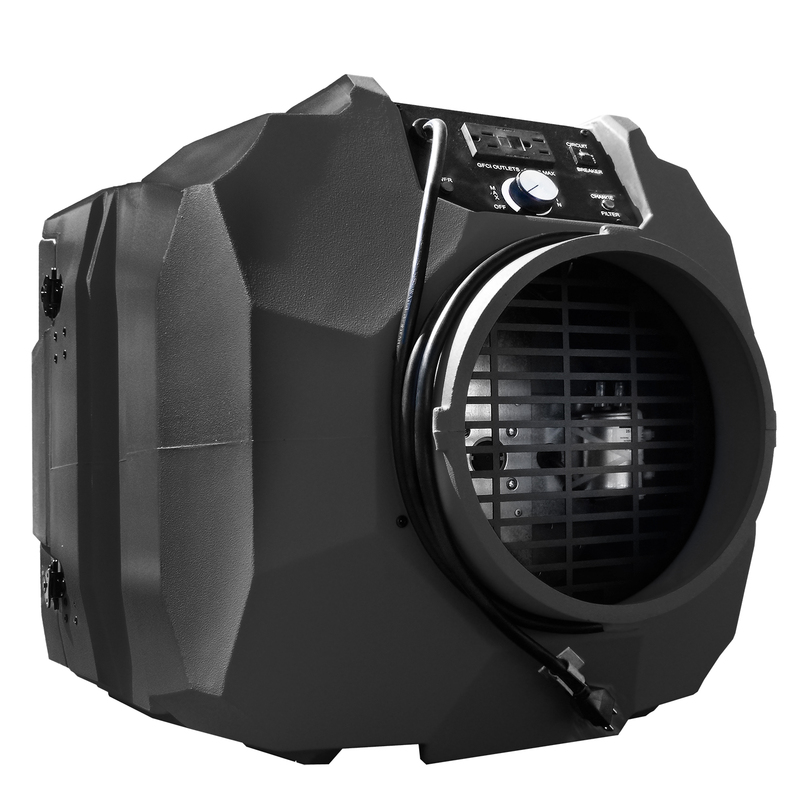 The standard OA600N ships with a Dustlok, primary/secondary filter and HEPA 99.97% filter configuration. For your safety, the OmniAire 600N scrubber complies with OSHA, UL and CSA/IEC electrical safety requirements. GEO95, MERV-14 efficiency filters provide economical filtration for non-hazardous dust and contaminants. 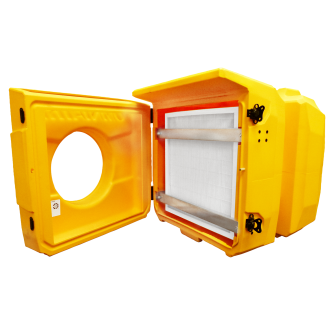 GEO95 is an extremely durable and high capacity filter for bulk dust collection. Optional 2” MERV-11 pleated filters can be easily installed into NITRO scrubbers to remove fine dust particulate. Removal of chemical fumes and biological contaminant – use OdorGuard600 activated carbon filter with HEPA or GEO95 filter.